Being a kid and getting dirty is FUN so I think getting clean so be fun too! 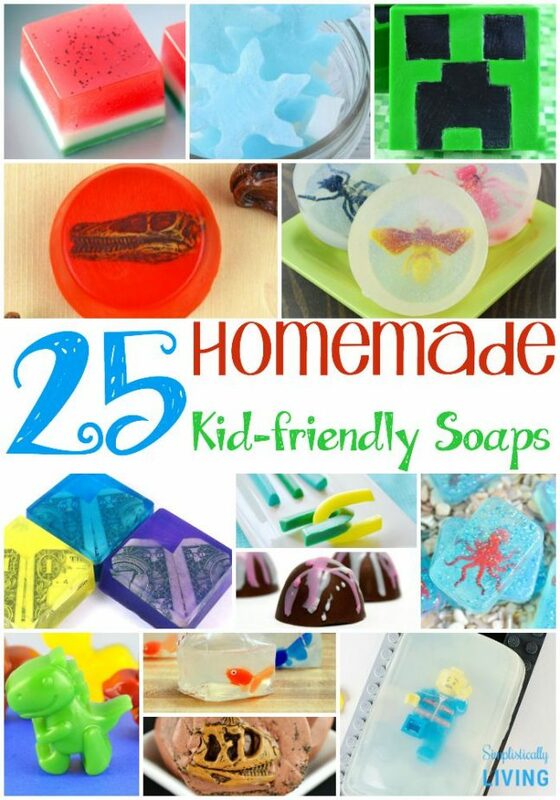 If you agree, then these 25 Homemade Kid-Friendly Soaps are must make crafts for you and your little ones! Of course, remember when making soap it gets HOT. We don’t want any little fingers burned so please supervise your children. 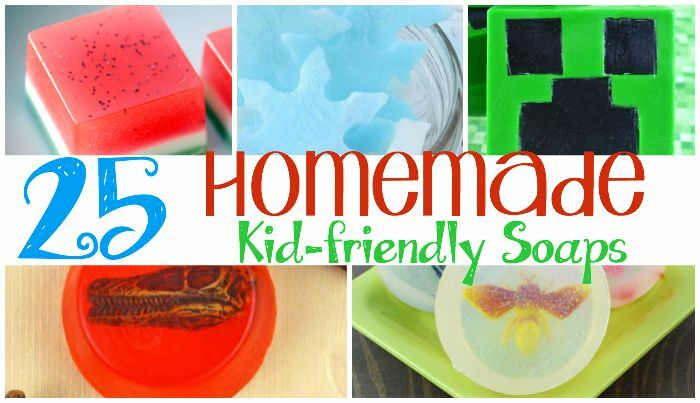 Once you understand the basics of making homemade soap, you will be a pro in no time! 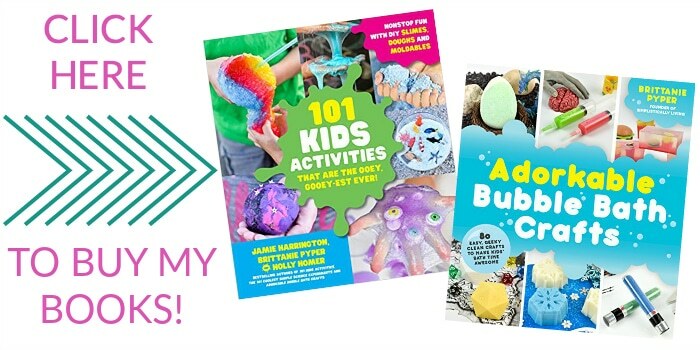 Aside from making these adorable soaps for your own kids, you can make them and gift them or even make them for party favors because at the end of the day, who doesn’t need some adorable soap? Jurassic World has been one of the biggest movies of the summer and this Dinosaur Fossil Soap is the perfect way to celebrate that! What better way to celebrate summer than with these Homemade Popsicle Soaps? So cute! What kid doesn’t love LEGO’s? This LEGO soap is so cute and colorful! Minecraft is huge right now and how cool would it be to make this Minecraft Creeper Soap with your kids? Shark Week may be over but that doesn’t mean your love for sharks has to! Celebrate in a clean way with this Shark Fin Soap! These Gemstone Soap Rocks are so unique and cool looking! Tiny Dinosaur Soaps for Tiny Hands! 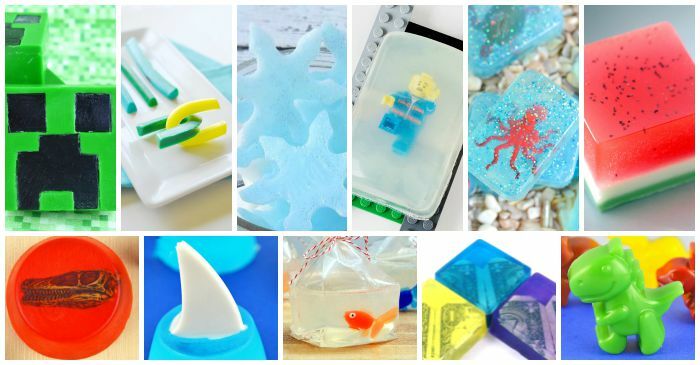 Rescue your LEGO characters from the soapy bubbles in this LEGO Rescue Soap! Goldfish Soap is a great way for kids to have a fish without the responsibility of a real one! Keep the bugs (and by bugs I mean germs) away with this Bug Soap! Kids love Dinosaurs so this Prehistoric Soap is perfect for a roaring good time- in the bath that is! This Watermelon Soap is making me crave the real thing! If that didn’t do it, maybe this Watermelon Soap will! This Ocean Soap is so fun and bright, perfect for Summer! Christmas is coming and you can be prepared for those on the naughty list with Santa’s Lump of Coal Soap. I am loving the look of these Snowflake Soaps! I am thinking they’d be great gifts for neighbors? While these look delicious enough to eat, they are actually Chocolate Truffle Soaps! Show the one you love you love when they smell clean with these Valentine Heart Soaps! Feel a wee-bit lucky with this Shamrock Soap! Easter will be here before we know it, and these Homemade Easter Egg Soaps can make great basket gifts! 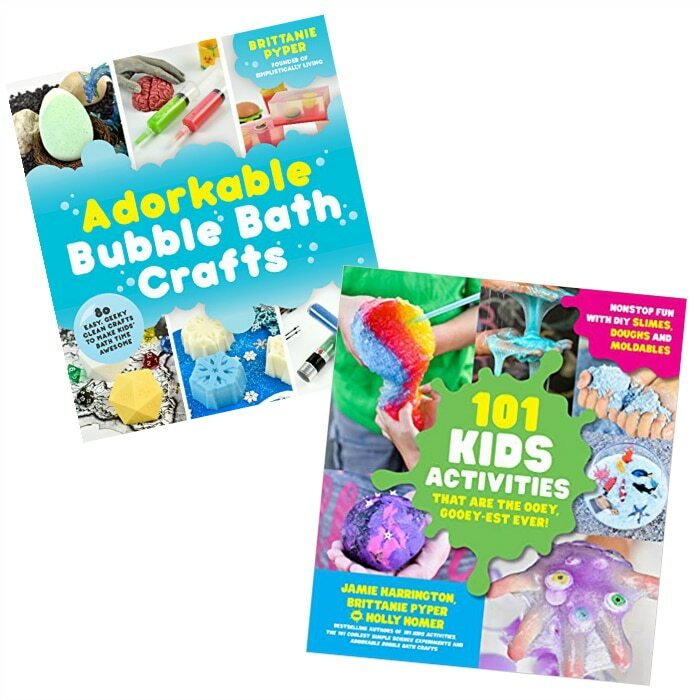 These Soap Sticks are simple yet a unique way to wash those little hands! Oranges and Lemons make this soap smell so great! Older kids can make and gift this Orange Lemon Zest Soap! Make your kids really earn that money with this Money Embedded in Soap. If your child is into sports, these Football Soap is made just for them! Want something really unique and fun? Make this Photo Soap featuring your kids favorite super heroes, images, or whatever they want! A soap truly made by them, for them.